Issues in Science and Technology is copyrighted. Unless otherwise specified, you need permission to photocopy or reprint an article or section of an article. Please email [email protected] or fax (972) 883-6327 to request permission to reprint from Issues. 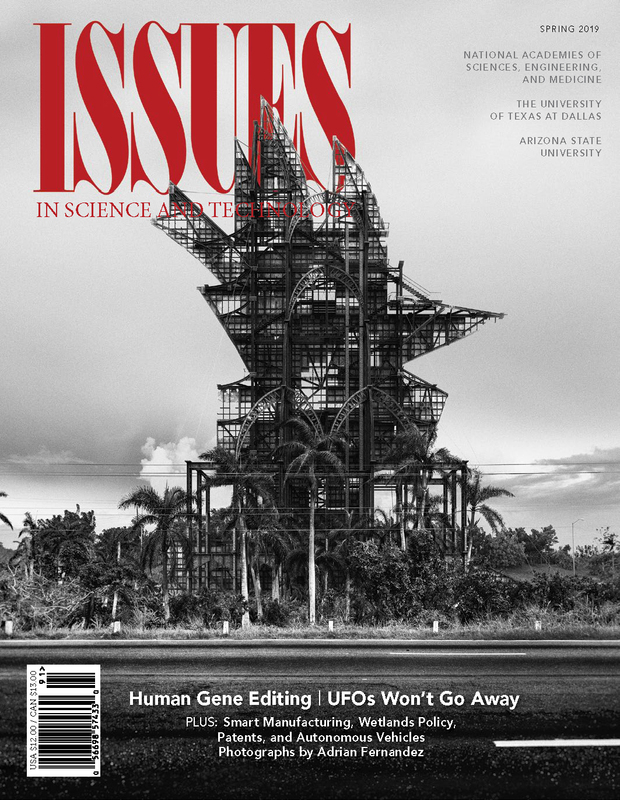 Issues in Science and Technology is the quarterly policy journal of the National Academies of Sciences, Engineering, and Medicine, the University of Texas at Dallas, and Arizona State University. We publish articles that analyze current topics in science, technology, and health policy and recommend actions by government, industry, academia, and individuals to solve pressing problems. The pages of Issues are open to anyone who can write an informed, well-reasoned, and policy-relevant article. We publish Feature articles of 4,000 to 5,000 words and Perspective essays of 2,000 to 2,500 words. Although we accept submissions of completed manuscripts, we prefer that authors begin by submitting a two- or three-page outline or proposal that explains the problem or issue to be discussed, sketches the structure of the analysis, and provides as much detail as possible about the conclusions and recommendations, specifying who should do what. We will respond to discuss the outline so that you will have some feedback before preparing a draft manuscript. We prefer that manuscripts be submitted electronically to [email protected] and [email protected]. We do not use footnotes, but we do request a list of five to ten articles or books for recommended reading. Accompanying tables and graphs should also be submitted via email. We need to have the data on which a graph is based, because we redraw all graphs in our style. Please download the Media Kit PDF (164 KB — updated 2015-11-12) for information About The Publishers, Editorial Purpose, Advertising Rates, Print Specifications, Online Banner Ads, or to Place An Insertion Order.